Gazprom currently owns the only liquefying plant in Russia. Gazprom's monopoly of the liquefied natural gas market may come to an end as competitors prepare to launch plants of their own. Liberalizing liquefied natural gas (LNG) exports will take place on a legislative level once Novatek and Rosneft reach preliminary agreements with their international partners, according to Arkady Dvorkovich, the Deputy Prime Minister in charge of fuel and energy. He predicted the changes would take place this year. The government insists that the introduction of Novatek and Rosneft to overseas LNG markets shouldn't hurt Gazprom. The Ministry of Energy had proposed earlier that Gazprom’s rivals should be free to operate in all regions except Europe. Novatek and Rosneft are engaged in active negotiations with their partners in Japan, China, South Korea and other Asia-Pacific countries, Dvorkovich said in May. Under those conditions, the repeal of the monopoly would only extend to individual agreements rather than to entire markets or LNG exports as a whole, a source in the government explained. Novatek announced that LNG contract talks were progressing successfully and that the company preferred Asia-Pacific countries. “We expect to provide all information required for LNG export liberalization in the nearest future,” the company said. Rosneft refused to comment. “If Russian companies fail to get a foothold in Asia now, it will be invaded by the Australians and the Americans, and they will have to operate in a fairly competitive market,” said Vasily Tanurkov, an analyst at Veles Capital. Australia is expected to launch LNG production facilities in 2015. The United States doesn’t have gas-liquefying capacity yet, but two projects have already secured government export approvals (15 more projects are under review). In the long term, intensified competition will affect prices, but no price declines are expected within the next 10 to 15 years. Tanurkov noted that current developments could indirectly affect Europe too. “For instance, if Qatar finds it’s no longer profitable for it to supply natural gas to Asia, it could switch excess amounts to Europe. 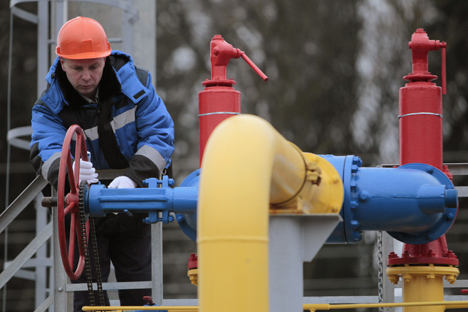 This would slightly increase competition for Gazprom,” the analyst said. Gazprom has held a gas export monopoly since 2006. First Novatek and then Rosneft last year raised the issue of liberalizing LNG supplies. That said, Gazprom owns Russia’s only existing liquefying plant as part of the Sakhalin-2 project (with a capacity of around 10 million tons). Novatek should make a final investment decision on its Yamal LNG project in 2013 (the launch of the first stage with a capacity of 5.5 million tons is scheduled for the end of 2016, with total capacity of around 17 million tons). For their part, Rosneft have, together with ExxonMobil, announced plans for an LNG plant in Sakhalin or Khabarovsk (with a capacity of 10 million tons and scheduled for launch in 2018). At the same time, Gazprom has a more advanced project planned for Vladivostok, for which an investment decision has already been made. The plant comprises three stages of 5 million tons per annum each, to be commissioned in 2018. Gazprom has not abandoned plans to liquefy gas from the Shtokman field either (set for completion after 2019). East European Gas Analysis head, Mikhail Korchemkin, believes that Rosneft’s project has the best shot at success. He explained that Yamal LNG could only supply gas to Asia between four and six months a year because of navigation constraints. At the same time, the cost of gas production at Gazprom’s Vladivostok LNG could end up being higher than its competitors’, with the project eventually requiring government subsidies. Based on materials from Vedomosti and Kommersant.